Love this. I am scared of browns, but this really works well. I will keep in mind as a background option for the future. I want to break away from Kona white/snow. 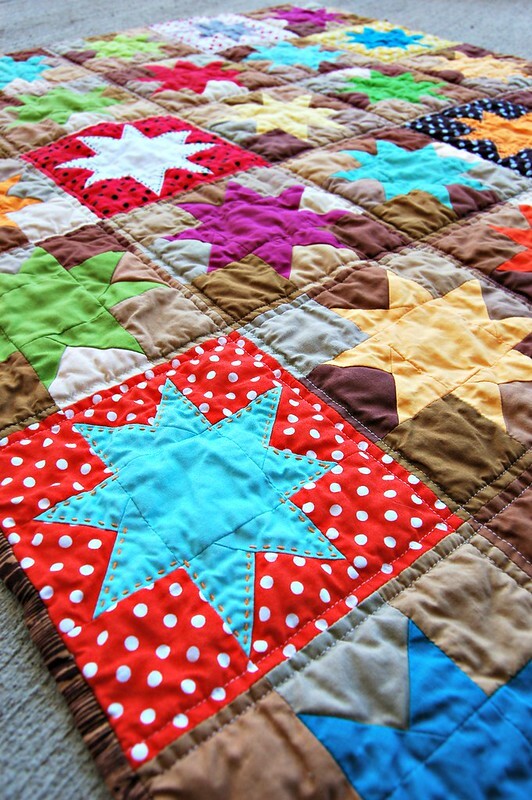 I haven’t used a lot of brown either, but I had a lot left over after making a quilt top of my cat’s face. 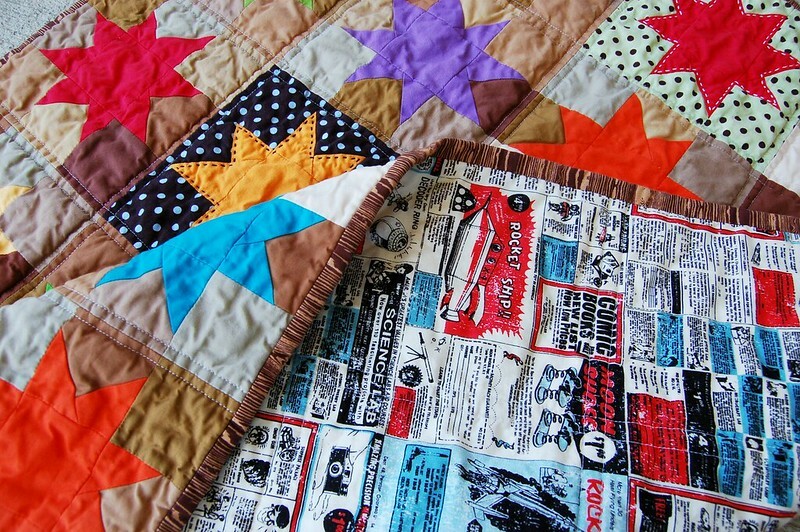 :) The color combos in this one make me want to try a two color quilt in red and brown. They look warm and homey together. I really like this. I think adding the polka dots was a great choice. It really brightens it up. Thanks, Sarah! 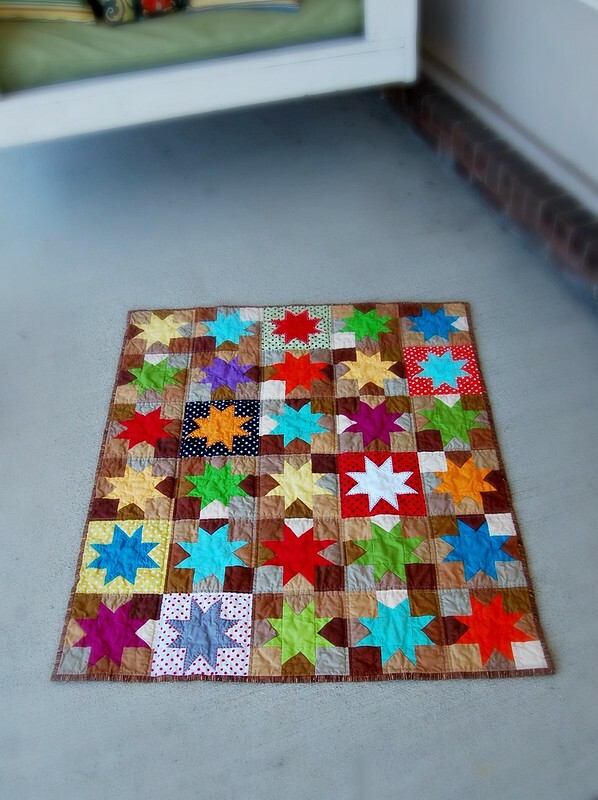 In the beginning stages, I was only planning on making one star (not the background) in polka dots. 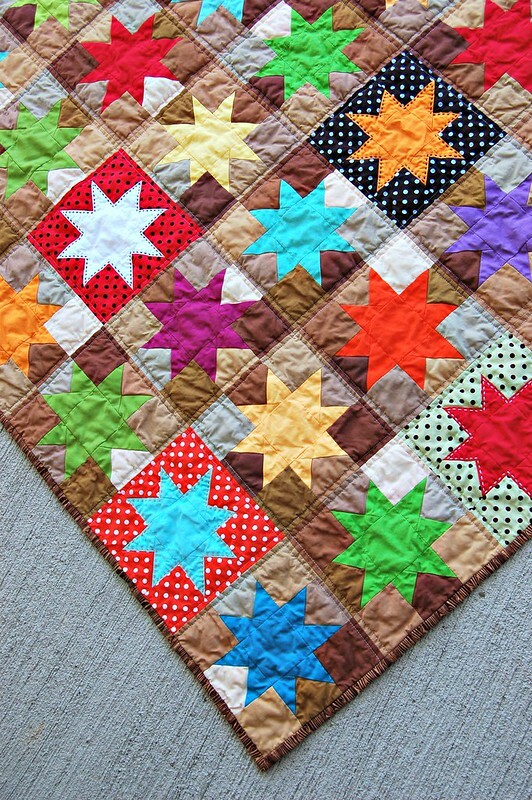 But as I got a few brown squares done, it just seemed more fun to break up the variation in the browns instead. I’m really happy with how it turned out!